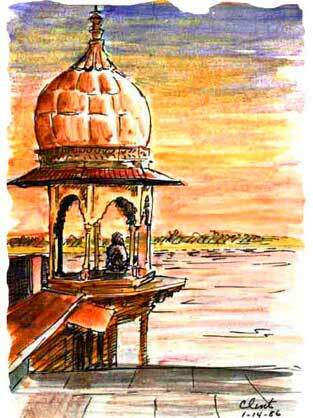 INDIA Meditation . . A lone person sits in a turret at sunset alongside the river in Mathura. I feel lonely and desolate, unsure what it is I am seeking.